Ever since first seeing the Read or Die anime, I wanted to see more, but I honestly had no idea if there was more to the series or not. Fast forward a couple years into the future, and I finally got off my duff and started looking into this. It was during that time that I discovered the Read or Dream series, which is set in the same world as Read or Die, but involves all new characters that possess the power of paper. The problem was, I couldn’t actually find these books anywhere, and the odd time I did find them, they were severely overpriced. But then I found them, the whole series, in a used book store and I couldn’t grab them off the shelf quickly enough. 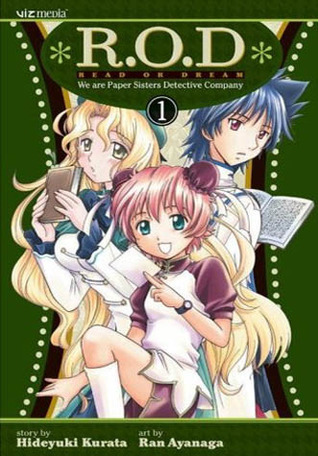 This series revolves around three sisters, Michelle, Maggie and Anita, and they run the Paper Sisters Detective Agency. They also all have the power to control paper, turning it into anything they want, which honestly is a pretty damn awesome power. This power is also the biggest connection this series has to the Read or Die series. The sisters definitely could not be more opposite from each other. Outside of their powers, and their mutual love of books (minus Anita because she doesn’t like them), they really have nothing in common, and yet they work well together – most of the time. I think it’s these differences that really allows them to function together and to come solve the cases that come along. For the most part, the individual stories throughout the series don’t seem to have any connection to each other. It’s just like a collection of random adventures and incidences that occur. But then, at the end of it all, things finally come full circle and something that happens in the beginning finally connections several of the events along the way. This made it finally feel like a complete series instead of a random collection of short stories that centered around the same characters. Overall, I thought this was a pretty good series. It has definitely made me want to seek out the original Read or Die manga, as well as eventually watch the Read or Die Tv series. 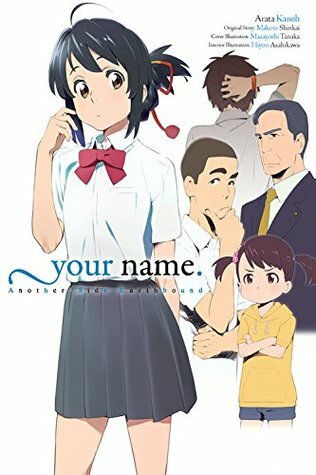 If you have not read or watched Your Name yet, please do so before reading this book. Not only is the story itself amazing, but everything will make so much more sense if you do. 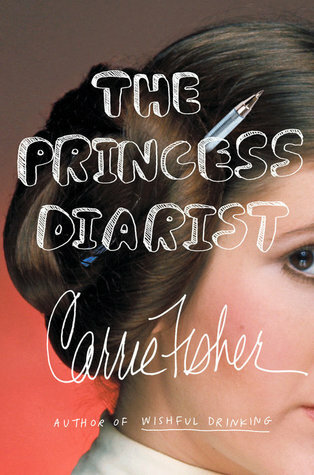 As soon as I saw that this book was coming out, I knew that I had to read it. I have fallen in love with the story of Your Name and to get to see this little side story involving those in Mitsuha’s life, and how her experiences with Taki have affected them as well. This book is broken into four different stories, each focusing on one person in Mitsuha’s life. The first story is focused on her friend Saya. I honestly felt that this was perhaps the weakest story of them all. I don’t know if it’s because Saya’s reaction to everything wasn’t as shocked and concerned as everyone else, or if it was something else, but Saya herself even had a fairly small presence in this story. Still, it was fun to see how she did react to a couple of things that happened, things that you don’t get to see in the movie. Then there was Teshi’s story. He had already been a big presence in Saya’s story, but he was even more so here. I definitely had a couple of good laughs during this one. I also felt that this really allowed us to see more depth in Teshi as a whole. The Teshi we see in the movie is very serious, and he certain maintains that throughout a vast majority of this story, but there is this whole other side to Teshi that really shines here. I love how he is both confused by this new Mitsuha, but also embraces many of the changes he sees – often accounting it to stress in Mitsuha’s life, so doesn’t really see all that bothered by things. Next up revolved around Mitsuha’s younger sister, Yotsuha. I was pretty interested in seein gmore of her thoughts on Mitsuha’s changes. We get to see a pretty good amount of it during the movie, but there was bound to be more. The best part is, as a younger child, Yotsuha’s understanding of many things in life is obviously lacking, so watching her try to figure things out herself. Her line of thought could be quite deep at times, and it really added a whole new level to her character, and gave a glimpse of the person she would become as she grew older. Finally there was the story about Mitsuha’s father, Toshiki. I’ll admit, I didn’t particularly like Mitsuha’s father in the movie, but we also know so little about it, that it was hard to know why he was the way that he was. Unlike the previous stories, this one doesn’t focus so much on his opinions of what is happening to Mitsuha, but is a reflection on the past, how he met his wife, more about the Miyamizu temple and it’s traditions, as well as those of other temples, and also the start of their family. All this leads up to why he abandoned his family, the temple and his why he pursued the role of mayor. I felt like this story helped me to understand him so much better, and it also helped him understand his daughter as well. I definitely have a bit more respect for him, even if he is still a total jerk in the end. Overall, I really enjoyed this book. I am now hoping that they come out with another novel like this, but where it’s the people in Taki’s life showing how him switching affects them. Death Note is one of those series that I had been wanting to read for a while, but never really put the effort into finding the books. Then, last summer, I spotted the entire series at a used book store and knew my time to check out this series had finally come. I didn’t really know what to expect out of this series. Really the only thing I knew was that the main character, Light, somehow got a notebook that can kill people by writing their names in it. Honestly, it sounded like a pretty darn interesting concept, so I was eager to dive in. This was certainly not your typical manga. Usually, it’s the pictures that tell the story, as the dialogue and minimal descriptive text just helps the story along. 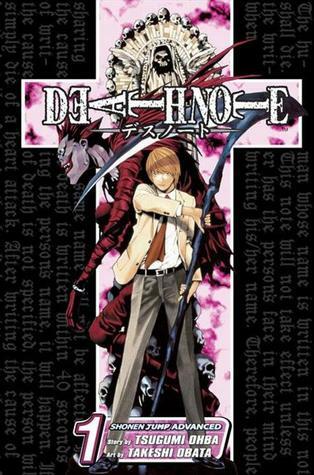 That is not the case with Death Note, as it the text often overtook the visual aspects page after page. Not only that, but most of the characters spoke, or thought, a lot and in very long, drawn out moments. I felt in a way it took away from the manga, because it was more like reading a novel that just happened to have pictures in the back ground than an actual manga. This made me dislike the series in a way. As for the characters, well there are quite a few of them throughout this series. Some remain from volume one and go through to the end, while others have very small roles. I have to say, I didn’t really care for Light all that much. He was an interesting character for a while, but then his analytical ways started to bother me. This was the same for L, but I really hated his character right from the get go. 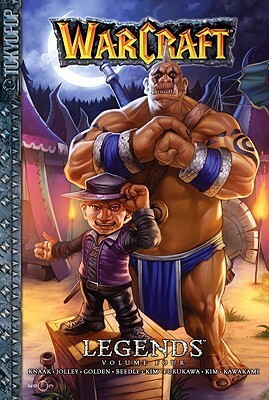 Between the two of these characters, I felt my desire to keep reading and see how things played out starting to wane. I did also feel like the series was a bit long. It probably could have been condensed down into six volumes or so and still had everything in it, just in a more fast paced and perhaps interesting way. I feel like this series would have been much more enjoyable as a light novel. That way the walls of text wouldn’t seem so bothersome. 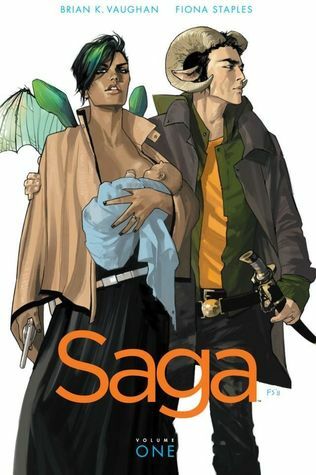 I’m still glad I read this series, but I honestly don’t know if I would recommend it or not. I’m sure there are plenty of people out there who would enjoy it and those who wouldn’t as well. I may eventually watch the anime series just to see if it is more enjoyable than reading the manga, but we’ll see. I have barely touched a book in the last two weeks. I did some reading, but not enough to finish anything. Well, since I failed to do my Monday post the previous week, this will be what I watched in the last two weeks, which was a lot. So first up TV wise I watched a few things. I got through my regular shows on the PVR which are Homestead Rescue, My 600LB Life and Family By The Ton. I also watched the Westminster Kennel Club Dog Show, which was awesome. The movies I watched two weeks ago were: Dirty Dancing, Troy, Conagher, I Dreamed of Africa, Corpse Bride, The Indian In The Cupboard, Poseidon, Ivanhoe, Rainbow Brite And The Star Stealer, Tombstone, The Horse Whisperer, and Eight Below. Last week I watched the 1995 The Quick And The Dead, A Knight’s Tale, The Ghost And The Darkness, and Ride Around The World. So needless to say, I have put a huge dent in our DVD pile, since nearly all of these we decided not to keep. Lastly, I was able to watch a few movies in the theatre this weekend, which were Black Panther, Star Wars: The Last Jedi and Jumanji Welcome To The Jungle. I was kind of a slow the last two weeks. Mostly I spend the days playing World of Warcraft and watched a lot of movies. Last weekend I went to the city for much needed time away, plus the truck needed some major work done. I ended up staying a bit longer than expected thanks to the delays on the truck and winter weather, but made it home safely in time for another snow storm to hit that night. That meant spending most of Sunday shoveling snow. Hopefully I will get some reading done this week. I have been in a weird reading slump and I’m trying out different books to see which one will break me out of it. I still have more DVDs to get through, so most of my watching time will be spent on those. Otherwise, I will be watching my regular shows on the PVR. I don’t really have any solid plans. I need to figure out what needs to get done around the house and start getting those things knocked out.